Kanye West's "The Life of Pablo" was streamed 250 million times in its first 10 days on streaming service TIDAL. Kanye West may boast a lot on social media, but he brings in the listeners. West's latest album "The Life of Pablo" was streamed 250 million times globally in its first 10 days of release on music streaming service Tidal, the company announced on Tuesday. While West's "Pablo" streams is impressive, it's not exactly unheard of. For example, Justin Bieber's "Purpose" had 100 million audio streams in the U.S. alone for his first week in November, according to Nielsen music. But West's "Life of Pablo" was exclusive to Tidal. "It's a really good number, and it's even more impressive that it's only in one place," said David Bakula, senior vice president of insight at Nielsen Music. "There's a lot of services that can stream audio, but there's only place where you get this album and that's Tidal. That's how it differentiates itself." Bakula added the industry ratio for streaming is 1,500 streams equals that of one album sold economically. That works out to about 166,000 albums. 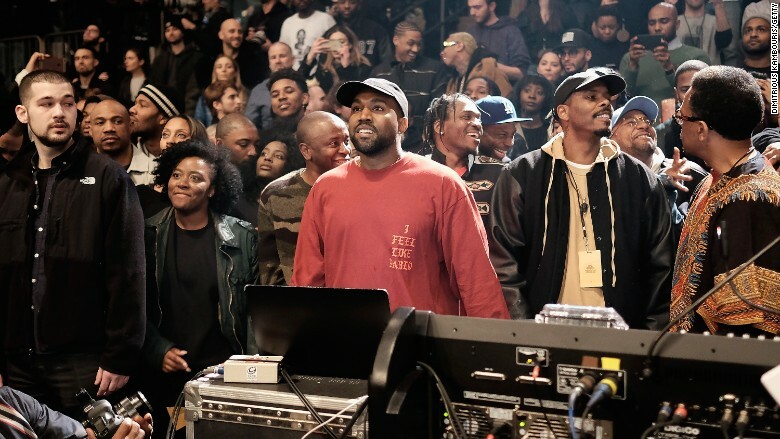 "Life of Pablo" had a highly promoted launch in February with West releasing the album following a performance on "Saturday Night Live." West also touted the release using his popular social media presence. According to Bakula, an album can only get to these types of numbers if it's also a good album that people want to hear. "Kanye being outspoken and being Kanye helps get it there, but it doesn't make it without being a quality album," Bakula said. There are negatives to being exclusive to a streaming service, however, and one of the major ones is piracy. West's "Life of Pablo" was pirated over 500,000 times when it was released. The Jay Z owned music service also announced on Tuesday that it eclipsed 3 million subscribers across 46 countries. This news came a day before its one year anniversary. Unlike other streaming services, Tidal has two subscriptions tiers and no free option for listeners. The first is its premium tier of $9.99 and the second is its hi-fi subscription, which is $19.99 per month. According to the company, 45% of its subscriber base is the hi-fi subscription tier. Daniel Ek, founder of streaming rival Spotify, revealed that the service eclipsed 30 million subscribers earlier this month. "Tidal isn't Spotify when it comes to reach, so 'Pablo' is a really great number," Bakula said. "But it really speaks to benefits of streaming services having exclusives with popular artists."